In this post I’d like to present my latest project: Toolbox For Strava. It’s my personal tribute to the amazing Strava community, and my little playground with the “big data” coming from this wonderful online sport tracker that changed my life a little. Toolbox For Strava is being a tremendous and unexpected success, with over 20K registered users in the first 2 weeks and a lot of buzz over the Internet: I had the honor to be featured on Cycling Weekly, Pra Quem Pedala, esmtb.com, RunLikeNeverBefore and many other websites, forums and Reddit posts. If you are an athlete and especially a cyclist, you probably know very well what Strava does and how it can bring a revolution in the way you train: by recording and analyzing all your GPS data and adding a touch of competition, Strava is an endless source of motivation to ride more and ride faster. Like any good online service, Strava provides a set of API to access its huge dataset and create awesome websites and apps, growing the pleasure of being a “smart rider”. This is what Toolbox For Strava does: it connects to your riding data and provides additional reports and stats that are not offered on the original website. 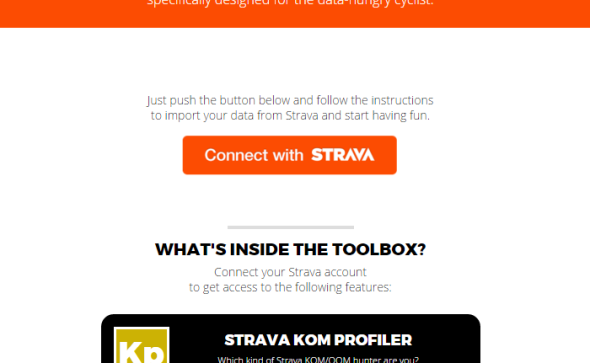 Strava KOM Profiler: this tool analyses your KOM and QOM on Strava, offering an enhanced report with some stats and insights that aren’t available on the original website. At the end, it shows you a famous rider matching with your best results. Strava All-Time Report: this tool offers enhanced stats on your all-time riding data from Strava and prints a report that is thought to be shared with your friends on Twitter and Facebook. 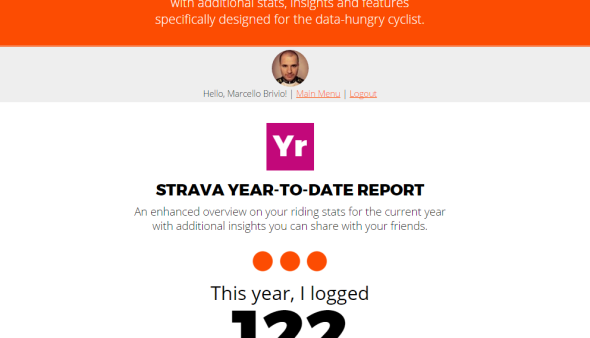 Strava Year-To-Date Report: basically the same of the above, but focusing on the current year only. Strava Unfollower: a most-wanted feature of other major social networks like Twitter, Facebook or Instagram is knowing who of your followers is not following back… Well, now you have such a tool for Strava, too! Strava FanCounter: very similar to the Unfollower, this tool does the inverse analysis telling you which of your followers are real “fans” (they are following you without asking you to follow them back). I received a lot of positive feedback about this project, so I’m working on new tools and features to be added very soon. Stay tuned! One Comment on "Toolbox For Strava: A Free Gift For Data-Hungry Riders And Strava Addicts"
Thanks for this great tool !